Some Android games are good, others are truly amazing. Train Conductor World is one of those amazing games that has cute bubbly graphics paired with an intensely addictive gameplay. I find myself mindlessly playing hours trying to beat all difficulties (insane is incredibly hard and requires perfection) of the each level. But knowing a few simple tips and tricks will aid you in winning. 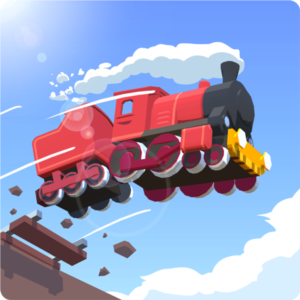 An unlike some Android games that require you to wait (or make in-game purchases) before your next move, Train Conductor World will let you play as much as you want. It's a completely single player game that doesn't have any social aspects (which is fine because this kind of game doesn't need to be social). Best of all, the game doesn't require any special permissions! The game download is free, but there are in-game purchases for themes and full game (which gives you one free Undo for each game $4.99). Despite all the pros of Train Conductor World, the one big issue the developers at The Voxel Agents need to resolve is battery usage. Even on the lowest graphic settings, I notice unusually high battery usage (sometimes even when the game isn't even active). The battery usage matches the type of usage for some very large multiplayer android games. In fact, I usually prefer to be charging while playing. Therefore, if you plan on playing this game during travel time, you should be prepared with a portable charger. Move the trains to the end as quickly as possible. A new train is issued once a trains passes from one end of the screen to the other. It's easier and often times safer to make quick short connections between tracks (90 degree cut). But if you want to beat Insane mode, you'll want to make long connections to cut down the amount of time it takes to reach the end. Every second matters! Make sure to keep trains rolling. Stopping for more than 2 seconds will cause the star to fall off the train. If you didn't purchase the game, use the Ad-based Undo wisely. I only use it if I've delivered trains without much stop time and all trains reaching their correct destinations. Additionally, I'm only willing to wait through the ad if I'm 3/4 through the current round. You can tell by looking at the white border of the pause button in the top left. Using restarts when many trains have crashed vs only one collision can be a benefit, as the "Undo" process will take trains that crash and proceed them to the end. If you really can't beat it, buy the game for $4.99 for free restarts. Though this is a published tip, when you trade up pieces for the next type (wood to iron or iron to alloy), carefully examine the spinner before loading up pieces to be sure your piece is in the loop. If not, exit the the Upgrading Title and try again until your piece is an available option. Holding a train will give you a slight time advantage over a complete stop and prevent the star from falling off the train (2 seconds). You can handle multiple trains in this manner. It's best to use two hands... the more fingers the better. But the phone down on a table. This way, you can control trains coming from both ends of the screen simultaneously. Every levels at each difficulty is can be won (including insane). But from my experience, it might not always be possible unless you're very lucky. I lost interest in the game once I beat all but one of the levels on insane, and then was just waiting around a couple of days for the right pieces to connect other cities. Though I'm sure the point of the puzzle pieces is to convince you to spend money for in-app purchases, I wasn't ready to spend, and so the game ended for me. It was fun while it lasted.